Once upon a time, there was a homeowner whose castle was completely overrun by stinkbugs. Yep, those black little crawling critters who kinda prop themselves up on all fours and give you an awkward salute when they’re scared. Now, necessity being the mother of invention, this king of the castle invented a cheap, easy and totally effective way to eradicate the unwanted visitors. We don’t want to give it away but…two liter coke bottles and an LED light are involved. 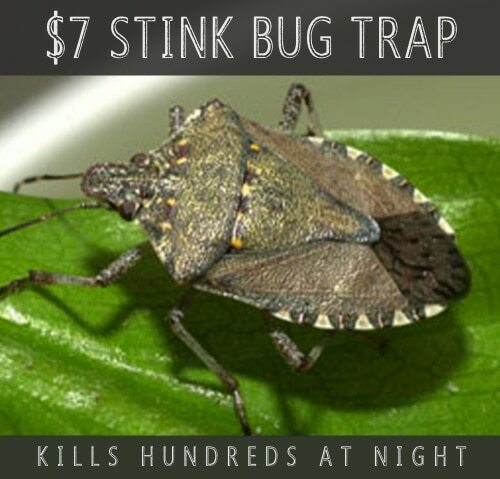 Wait till you see this clever idea to catch stink bugs. A local news crew did a story on this man and you’ll be amazed how his ingenuity steals the show as he cleverly traps hundreds of stink bugs each night.